STEVE JOBS was quite confusing at times, as it wasn’t always clear just which product launch we were looking at. It also used occasional flashbacks for which a bit of quick adjustment was needed to realise it was actually a flashback. While the idea of taking three product launches as the framework for the movie was good, it did feel pretty disjointed and unengaging. The best parts of the movie were the performance by Kate Winslet as Steve Jobs’s secretary (apart from her inconsistent accent) and the focus on Jobs’s relationship to his daughter, Lisa, played by different actors for different ages. Seth Rogan also plays Steve Wozniak very well. The most moving moments in the story came in the last minutes of what is quite a long and uneven movie. The story is very dialogue driven. 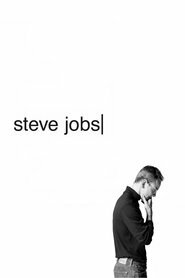 I think this movie is an important, warts-and-all glimpse at who Steve Jobs was — it most definitely is not a hagiography — but I’m not sure it is a great movie. It is an important movie of a man who has changed the world but had enormous difficulty managing other people, including his closest friends and family.